At TriVariant, we don't just feel a sense of responsibility to help our clients succeed, we feel responsible to our community, as well, and we encourage our staff to take time to support the causes that are important to them. As a company, we support a variety of worthy organizations, not merely with financial contributions, but also with our time and talents. TriVariant team members have run marathons, built houses, prepared and served meals, and have given back to our community in a host of other ways, because we believe that in life, as in business, hands-on involvement is the only way to get things done. Once again, TriVariant was proud to be the lead sponsor for the 2018 Reston Runners' Seize the Day Women's 5k. 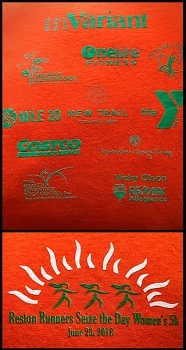 Not only is TriVariant a proud sponsor, but one of our own, Karen Donis, was the race coordinator for the event! Reston Runners, an organization for walkers and runners of all abilities organizes the annual 5k races to coincide with the end of its annual eight week Women's Training Program. For more information on the 2018 race, please visit the Reston Runners' Seize the Day Women's 5k Facebook page. Since business inception, TriVariant employees have happily served as volunteer coaches for the Reston Runners' Women's Training Program. This annual eight-week program is geared towards women ages 16 and above to encourage physical fitness in a friendly, supportive environment. The program provides more than 300 participants with expert advice from a variety of speakers, as well as six levels of coaching, from Fresh Start for those women just starting their exercise routine, to advanced beginning running, with several walking and run/walking variations in between. With a 10:1 participant to coach ratio, no one is left behind, and everyone is encouraged to meet their goals. 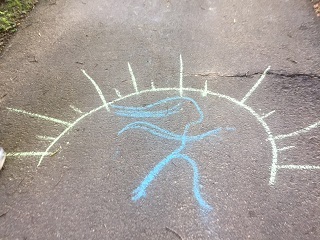 For more information on Reston Runners' Women's Training Program, please visit the Reston Runners Women's Training Program Facebook Page. TriVariant joined the Fisher House Spirit Squad for the 2017 Marine Corps Marathon last October. We could not pass up the chance to ring a cow bell to encourage race participants to "keep their eye on the prize," especially, those runners who were running as supporters of Team Fisher House! 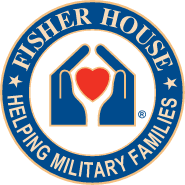 Fisher House is a phenomenal organization dedicated to helping our nation's troops and their families in times of need. Having grown up in a military family, our president and owner, Sylvia Alexander, has seen the impact of supporting our armed forces firsthand, and providing resources to Fisher House, as well as other veteran/active military-based charities, is a cause that's near and dear to her heart. 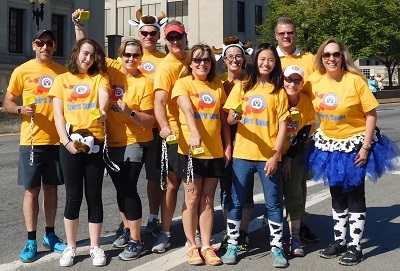 We were proud to wear the Fisher House yellow, while donning fashionable cow hats, ringing cow bells, and wildly cheering at Mile Marker 20 on October 22, 2017, to encourage runners supporting Fisher House, as well as the many other dedicated athletes who chose to tackle the distance. What a privilege for us to witness the elite runners early in the morning and watch the elation of the final runners to "beat the bridge" at Mile Marker 20! Our sense of community grew on a beautiful October day. TriVariant recognizes that today's youth are our future leaders. 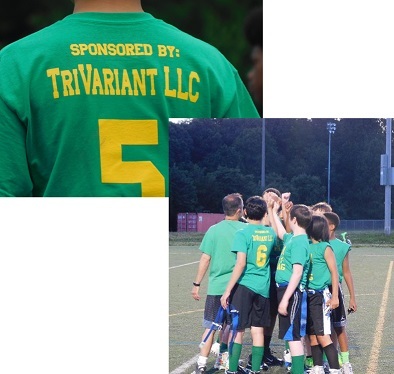 In the spirit of supporting the young people in our area, TriVariant happily made a monetary donation to the Reston Youth Association in support of the 2017 Spring's Co-Ed Flag Football league. We were thrilled to watch the boys and girls of the Reston Youth Association Seahawks experience good sportsmanship, learn how to work together as a team, and keep physically active, all while sporting the TriVariant colors as they ran down the field! Go Seahawks! For more information on TriVariant's philanthropic efforts, please email info@trivariant.com. Military/veteran-based charitable organizations are highly encouraged.